Sendai Yagiyama Zoological Park, a zoo in the disaster-hit Japanese city, expressed it’s interest to lease giant pandas to cheer up children there. A Japanese government official said Sunday that the Japanese Prime Minister Yoshihiko Noda talked about the matter with the Chinese Premier Wen Jiabao. Japanese Deputy Chief Cabinet Secretary Tsuyoshi Saito, who attended the summit meeting held in Beijing, quoted Wen as saying he received letters from 100 children who hope to have pandas in Sendai, Miyagi Prefecture, hit hard by the devastating March 11 earthquake and tsunami. Japan has asked China to lease pandas as a symbol of friendship between the two countries, which will commemorate the 40th anniversary of the normalization of diplomatic ties next year. 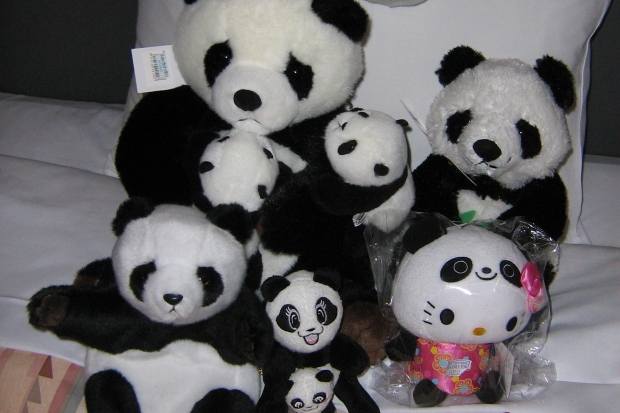 At the moment, 11 giant pandas live in Japan. 8 @ Adventure World Wakayama, 1 @ Kobe Oji Zoo, 1 @ Tokyo’s Ueno Zoo.